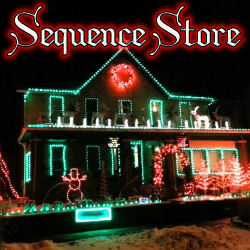 In 2015 the Leechburg Lights Display changed it’s sequencing software to xLlights 4.0. From 2015 though 2017 the Leechburg Lights sequences were a hybrid of Light O Rama and xLights. The native xLights files used the old LOR sequence still. Keep your eyes pealed as we begin converting the most recent Leechburg Lights sequences into an updated layout on the Pixel Pro Dispaly website. Below is a list of native xLights sequences you can easily import into your own layout. Click on any of the links below will take you to the Pixel Pro Display web store. This video will show you how to open my 2015 Xlights sequence using the above file.